For those princesses that want the full royal experience, our princess magic makers (or stylists as others call them!) will travel to your event location to turn your guests into royalty. 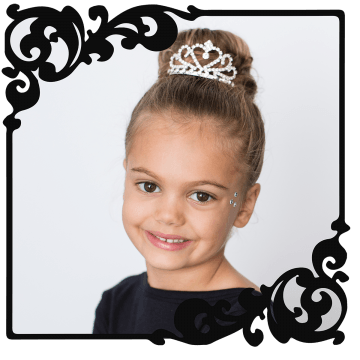 Pretty as a Princess provides princess up-do styles for the event guests complete with crown, light make-up and a hint of pixie dust. 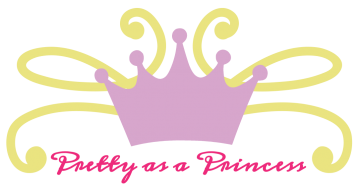 Royal guests will be seated and covered with the royal pink smock, receive their princess makeover and then get their reveal. Stylists come out of costume but professionally dressed and skilled in working with children. Packages start at 90 minutes and additional time can be provided. 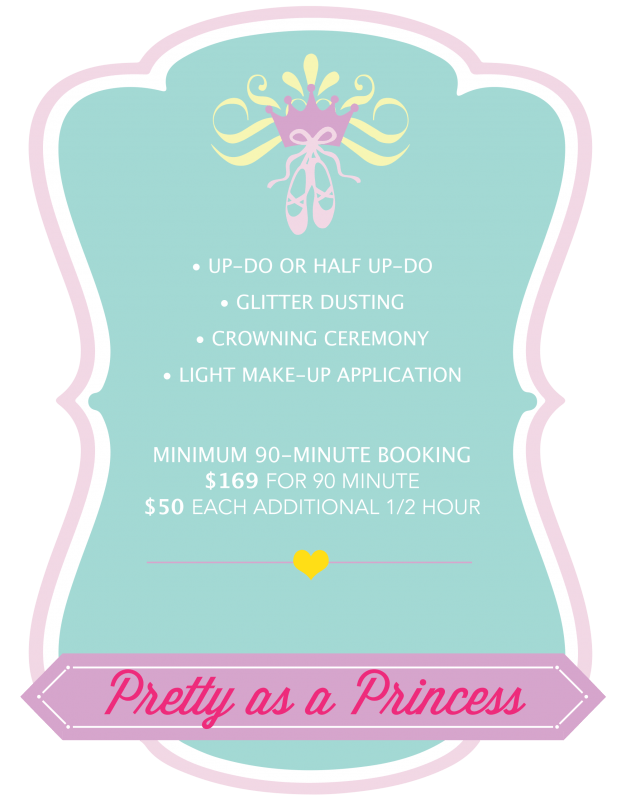 Pretty as a Princess can be booked with a character event or booked alone. Contact Ever After for more information.